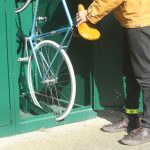 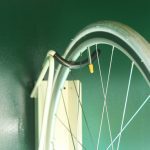 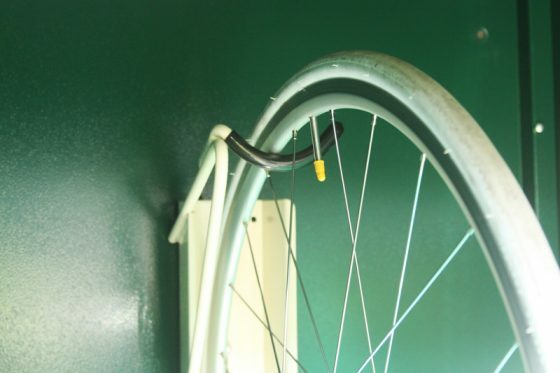 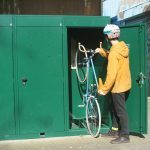 The Vertical Bike Locker is a robust and weatherproof solution for storing a single bike as well as bicycle equipment. It’s compact and efficient design enables you to store your bike on the back wheel, freeing up valuable garage, garden or residential space. 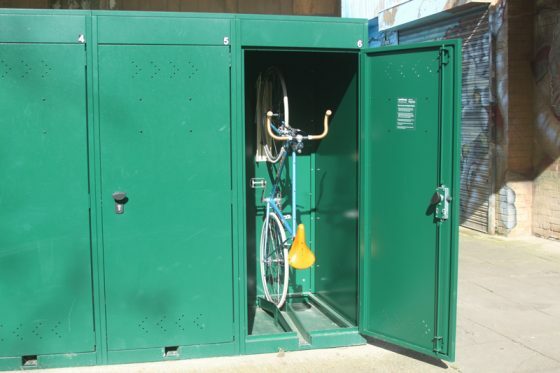 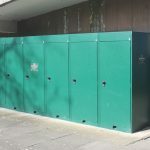 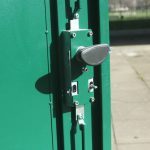 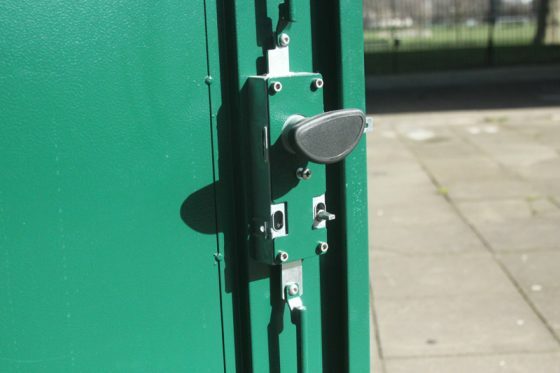 Cyclehoop can work with your organisation or local council to provide a fully managed cycle parking rental scheme using Vertical Bike Lockers. 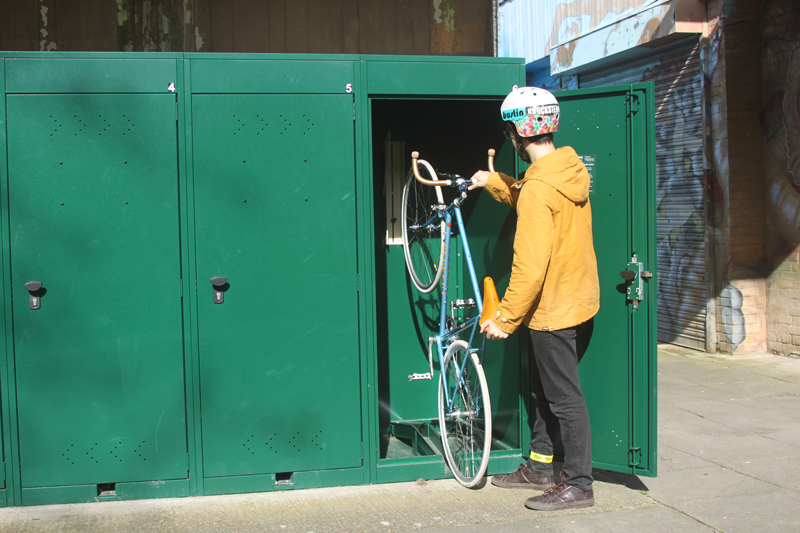 Postage: The Vertical Bike Locker is supplied built up. 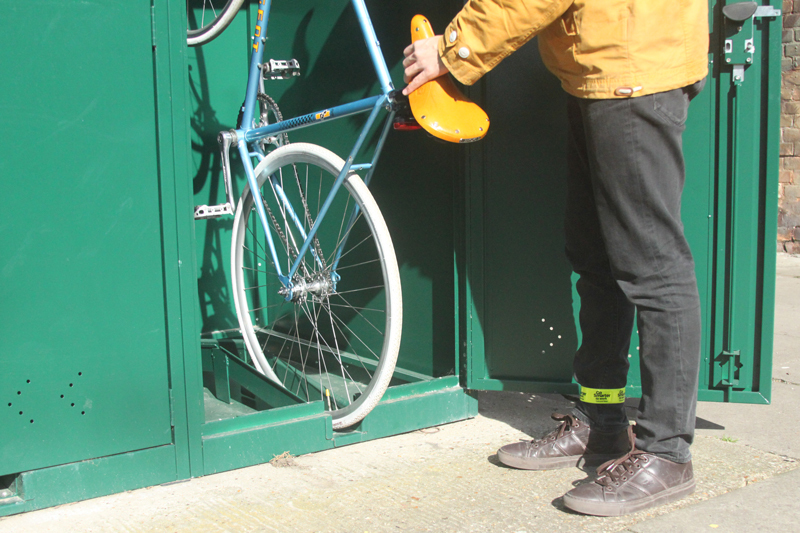 Please ensure there is a sufficient access to deliver: 2.2x1m access is required. 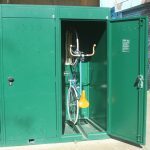 If you would like to find out the cost of shipping a product, you can calculate the accurate cost by simulating the checkout process and entering your postcode. 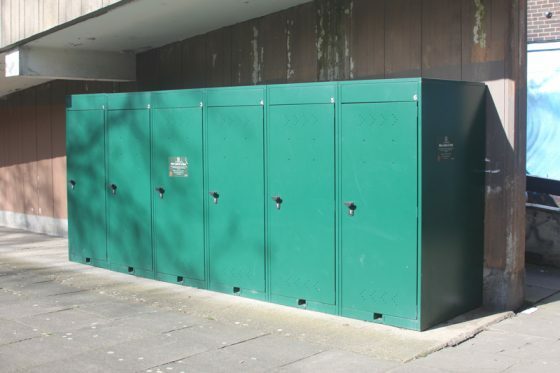 Please contact us for information on delivery outside of the UK. Note: Please check the internal measurements of the Bikelocker corresponds with the measurements of your bicycle to ensure your bike fits safely inside.